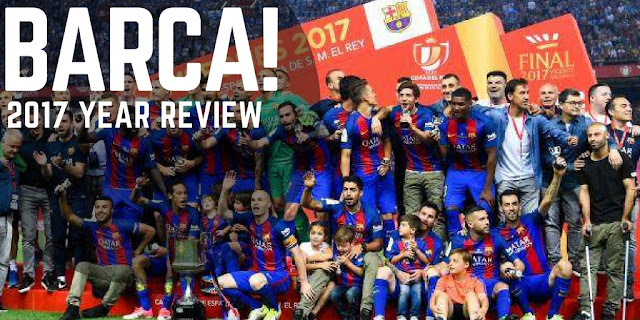 Barcelona head into the New Year aiming to add more silverware to their trophy cabinet, but 2017 was ultimately a slightly disappointing 12 months for the La Liga giants in terms of silverware. Barca marked the end of Luis Enrique's time as manager by becoming the first side since the 1950s to win the Copa del Rey three years in a row with a 3-1 victory over Alaves. 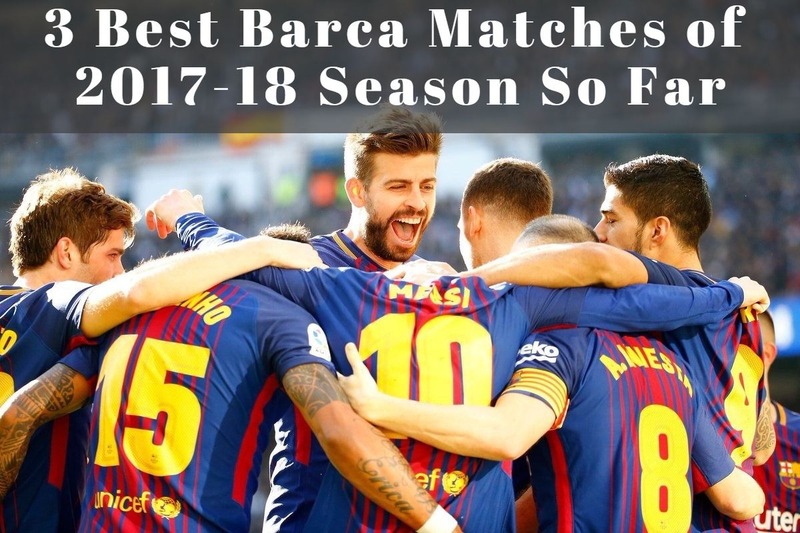 However, success in the Champions League and La Liga eluded them and fans will certainly expect a better return in 2018. At the Winter Break, FC Barcelona remains the only undefeated team left in Europe; firmly in control of the league. At the winter break, FC Barcelona is in the most envious situation that no one imagined when everything started this season. The start to the season was dreadful; fear, confusion, doubts, sense of inferiority all prevailed. Neymar transfer saga, that too that sudden and that late into the season was not the ideal way to prepare for the season. The team looked lost; emphasized in mega scale by the abject performance the team put up against their arch-rivals Real Madrid in the Super Cup. For the first time, a two legged tie against Real Madrid felt like torture; it was too much to take for the fans; may be even for the players. Pique put it ever so correctly by saying "may be for the first time in many years, Barca felt inferior to Real Madrid". It wasn't that feeling of inferiority which actually hurt; but a feeling of "No Hope"; that really hurt the fans more. It looked like we were starting to go down the hill. Luis Saurez, Lionel Messi and Aleix Vidal scored for Barca against Real Madrid to take Barca fourteen points clear of their arch-rival. Barca kept on their emphatic success streak in La Liga with a 3-0 thumping of their arch-rivals and defending Champions Real Madrid at their own home ground. This was never supposed to be the script which Real Madrid fans and most of the pundits wrote. This was supposed to be a "White Christmas"! The stadium was ready for it; they were presented the World Club Title and this was supposed to be a grand celebration party. But Barcelona boys just gate crashed it - not only destroying the party atmosphere but definitely the team spirits and along with it mostly the title hopes. This is the third consecutive victorious visit of Barca at the Santiago Bernebeu, a rare feat by all measures! 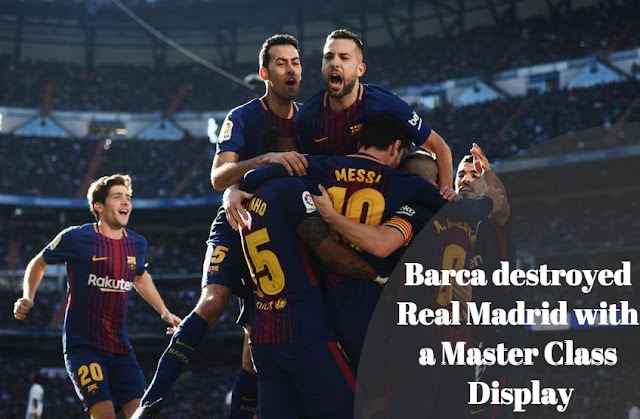 With this victory Barca have moved fourteen points clear of defending Champions, Real Madrid and nine points clear of second placed Atletico Madrid. That's a huge lead especially when we are not even at half-way of the league. Barca now go to the winter break with serious momentum behind them. 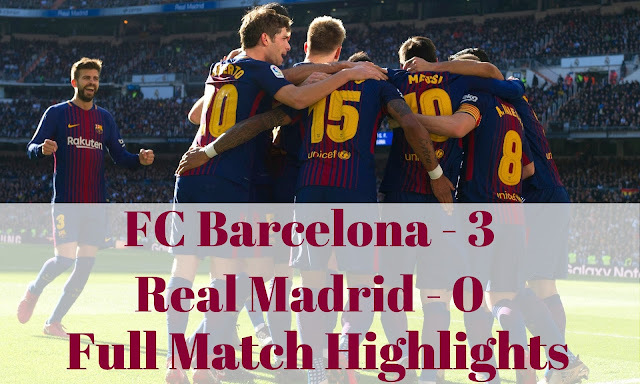 FC Barcelona produced a brilliant display especially in the second half to move fourteen points clear of their greatest rivals Real Madrid. Goals from Luis Saurez, Lionel Messi and Aleix Vidal capped an emphatic night of Barca. All is set for the first 'El Clasico' of the La Liga season. 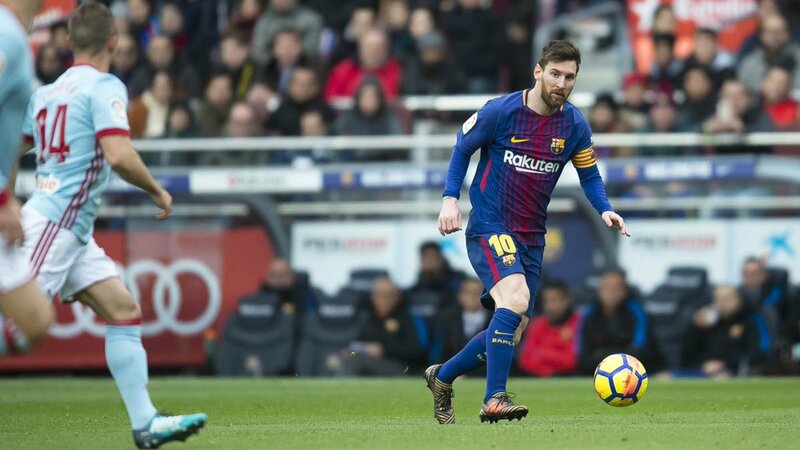 FC Barcelona goes to this match with a six point lead over second placed Atletico Madid and a big eleven point lead over fourth placed Real Madrid, even though Real Madrid have one game in their hand. A victory tomorrow will increase that lead to fourteen points and that would be an enormous task for Real Madrid to surpass even if they have a game in hand (remember that game will be played mostly at the very end of the season). The first two Clasicos of the season, the Super Cup encounters was more or less a forgettable event for Barca; but a lot have changed from the end of those two games. Barca remains unbeaten in all competition since that game where as Real Madrid has went downhill since then. FC Barcelona made the perfect preparation for the first Clasico of the season with a brilliant 4-0 victory over Deportivo at the Camp Nou. 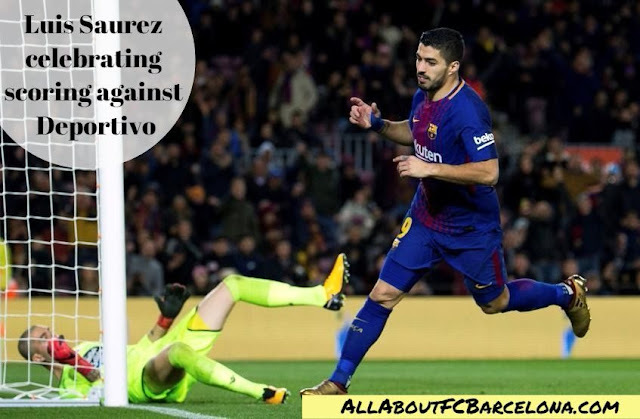 Luis Saurez and Paulinho both struck twice to give Barca a comfortable victory over the visitors; even though had Messi was wearing his scoring boot, the Barca's goal tally would have moved close to double digits. I cannot remember a game where we hit the wood work this often and in this season we have been denied by the woodwork a whooping 27 times in all competition; most of them from Messi. Barca lost Paco Alcacer early on the match but would be happy to have all of the other players more or less available for next Saturday's encounter. 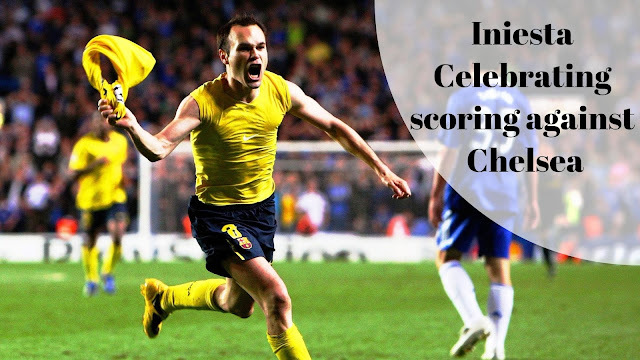 Barcelona Futbol Club will be facing English side Chelsea in this season's Round of 16 Knockout round. The first leg will he held at Stamford Bridge on the 21st of February 2018 and the return leg will be on March 3rd 2018 at the Camp Nou. For some reason Barca keep on getting tough opponents in this stage - last year it was PSG, before that Arsenal, before that twice Manchester City, before that AC Milan and so on. One have to seriously ponder whether it's just Bad Luck or whether it's something UEFA do! Especially considering that some big teams keep on getrting smaller oppositions till they reach at least semi-finals. Regardless of all that we need to get ready for two nights of very challenging football. Funny enough in my preview to UEFA Champions League Draw, I mentioned two teams in the best to avoid category; we got one from that only. Barcelona visit Villarreal on Sunday hoping to maintain their five point lead at the top of the La Liga table. After picking up 34 points from their opening 12 games of the season, Barca have been held in their last two league matches against Valencia and Celta Vigo. Samuel Umtiti and Ousmane Dembele are both major doubts for the game, while a return for Rafinha also looks unlikely as he battles back fitness after a long spell on the sidelines. Bookmakers don't believe those absences will affect Barca, with the table-toppers priced at 8/15 to win the game. Villarreal are available at 9/2, with the draw on offer at 13/4. 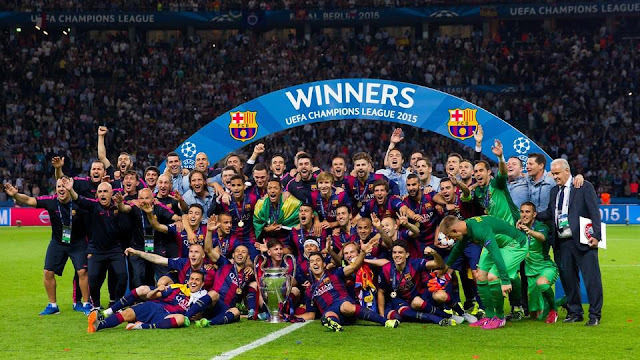 FC Barcelona's Next Champions League Opponent; Whom would you Prefer? With last night's round of matches, this season's Champions League Group stage has come to a conclusion and we now clearly knows who all moves from Group Stage to Knockout Stage. The teams apart from FC Barcelona which have qualified for the knock out stages are Manchester United, FC Basel, Paris Saint-Germain, Bayern Munich, Roma, Chelsea, Juventus, Liverpool, Sevilla, Manchester City, Shaktar Donetsk, Besiktas, FC Porto, Totenham and Real Madrid. Since we cannot play teams from the league we will be avoiding Real Madrid and Sevilla both who finished second in their groups. Which leaves five opponents we could face - FC Basel, Bayern Munich, Chelsea, Shaktar and Porto. FC Barcelona secured a 2-0 victory over Sporting Lisbon in the last match of the league and consolidating their top place in the group. Enjoy the highlights, before it is taken down!! Strange is football at times and that was reminded again this weekend when a set of Crazy results ended up Barca increasing their lead on top. 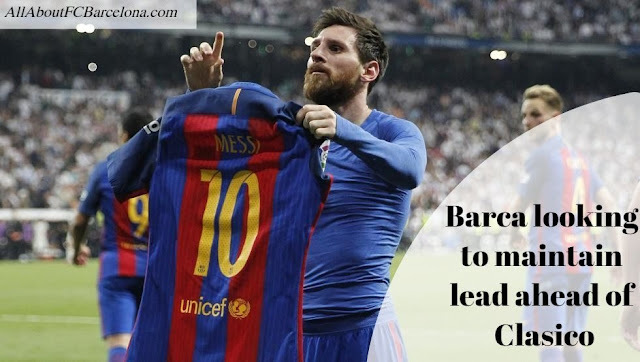 It was quite funny to an extent, when Barca dropped two more points suddenly Barca's unassailable position in League was under threat. Suddenly Valencia could cut the lead by two, Real Madrid could get back to league race by cutting lead by two points and so on. But in the end Barcelona increases their lead on top at the league by one more point, leading Valencia by five points. The lead on Real Madrid remains at eight point even though the other major side from Madrid, Atletico Madrid have moved two points ahead of city rivals and sit six point adrift of Barcelona. Quite a turn around in 36 hours!